SOUTH GASTONIA, N.C. -- Seventeen years ago, they walked down the aisle as children at a friend's wedding. Last month, they walked down the same aisle for their own wedding. Adrian and Brooke Franklin met at the North Carolina church as grade school students before their parents' friends' wedding, according to ABC News. "I had a crush on him from the start," Brooke Franklin said. "He absolutely could not stand me. He said 'I got on his nerves.' I'd tried to play with him at school and at church and he just didn't want much to do with me at all." By high school, they were dating. "Every time our paths would go separate ways, we'd reconnect," Adrian said. 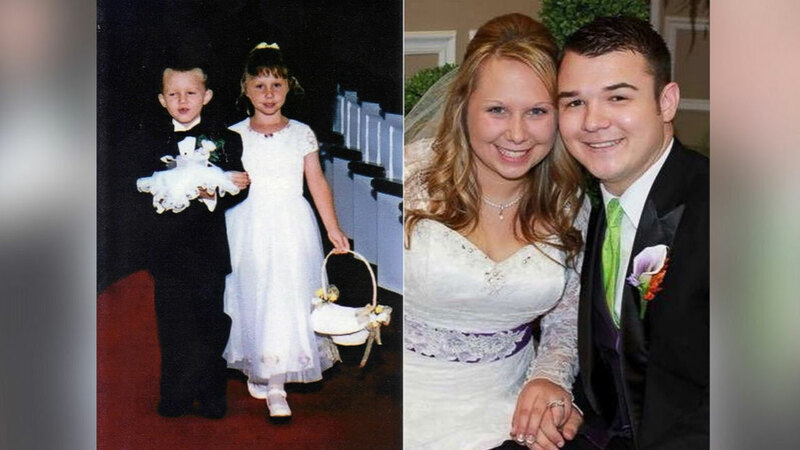 Briggs Fussy and Brittney Husbyn met walking down the aisle when they were toddlers. Now they're the bride and groom. Adrian and Brooke got married at South Gastonia Church of God late last month. 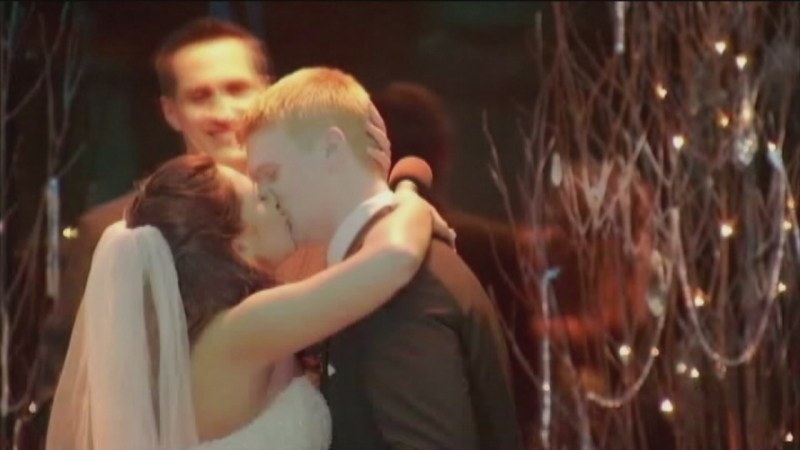 Among the 300 guests was the bride at the wedding where they met as 5-year-old classmates. "We forgot that we were in the wedding together and she brought the photos to us," Brooke said. "She just thought that was the neatest thing. She was really excited."